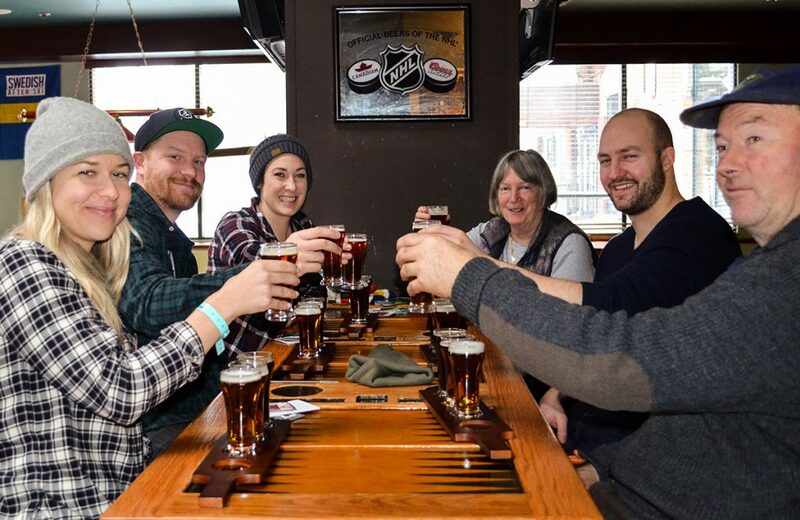 Whether Apres-Ski are a tradition while in Whistler or a completely new concept to you, we know that it is an activity everyone can agree on. 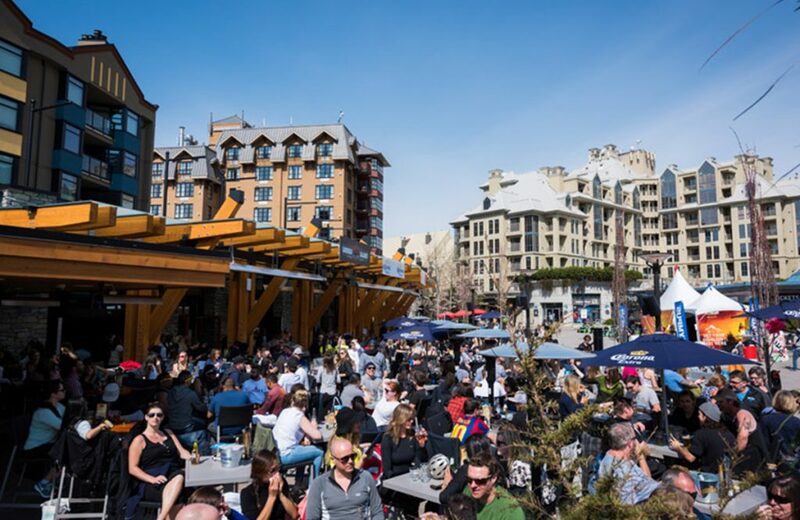 Apres are as much a part of Whistler’s lifestyle as the skiing, hiking, or any of the other activities that has made the village an infamous vacation destination. Apres-ski originated in France it describes the relaxed social interactions amongst people after a day of skiing- a time when groups would eat, drink and spend time with friends. Now, however, it has become a state of mind in Whistler Village- a time for people to relax, rejuvinate and rekindle while indulging in the delectibale bars and lounges that specialize in apres. 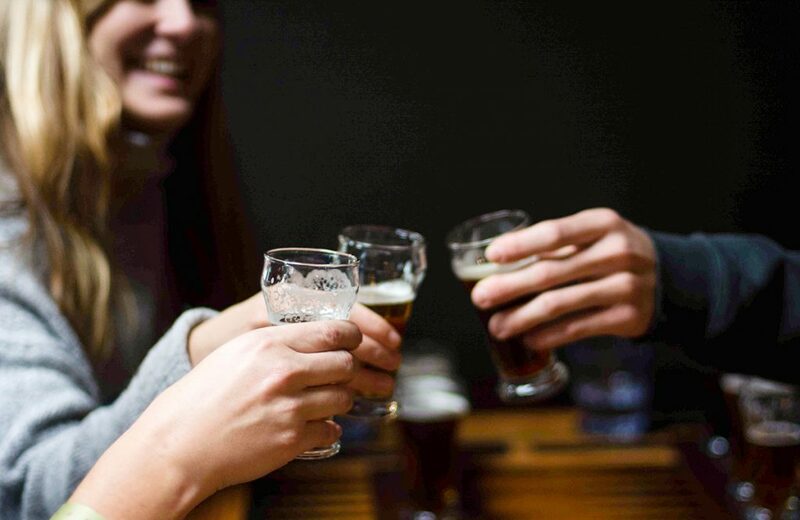 While there is a long list of places with the perfect atmosphere to enjoy a beverage or two after a Long day on or off the mountain, here is a list of our top picks for apres in Whistler to either add to your favorites, or to pop your apres-‘cherry’. 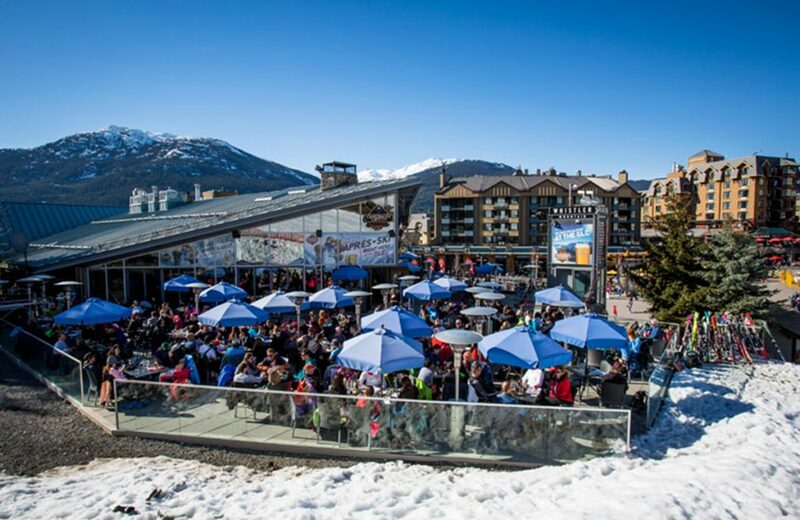 Just as their website promises, Longhorn Saloon, cozily situated at the base of Whistler Mountain, has been considered the best place for Apres since 1981. Boasting activities every night including live bands and DJs, as well as famed local craft beers and great food, Longhorn set the bar for many Apres style venues that followed it’s trail blazing career. Make sure to stop in for their mid-week theme nights like Mimosa Mondays or Tequila Tuesdays. With all the decorum of a luxury winter lodge, but without the stuffy atmosphere, Merlin’s Bar and Grill has remixed the origins of Apres to make this activity the best part of your afternoon or evening. 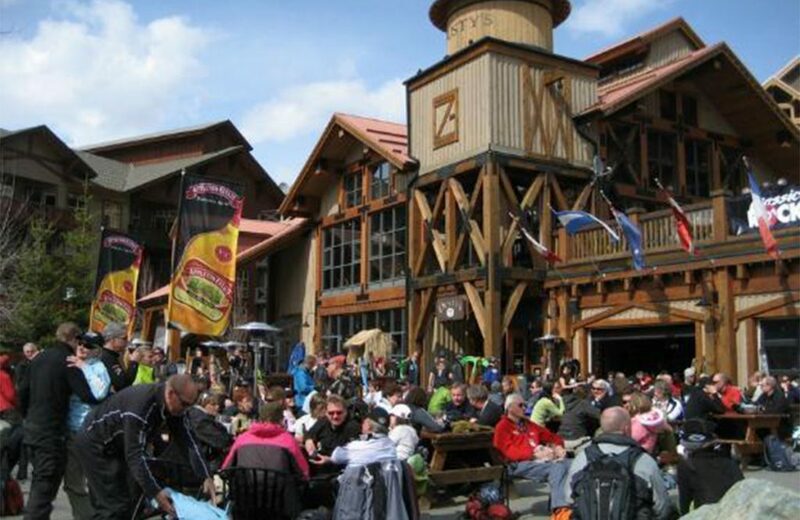 Not only do they host the largest outdoor patio area, but their infamous boot beam, which is used for impromptu “stage dancing” after a few drinks have been consumed, draws in crowds ready to let their hair down after a long day on the slopes. Keep an eye out for nights featuring local music legends “The Hairfarmers,” and don’t forget to round up the squad for a shot ski or two! Everyone loves a good Irish Pub, but no one can resist an Irish Pub with one of the largest selections of Apres this side of the Continent. 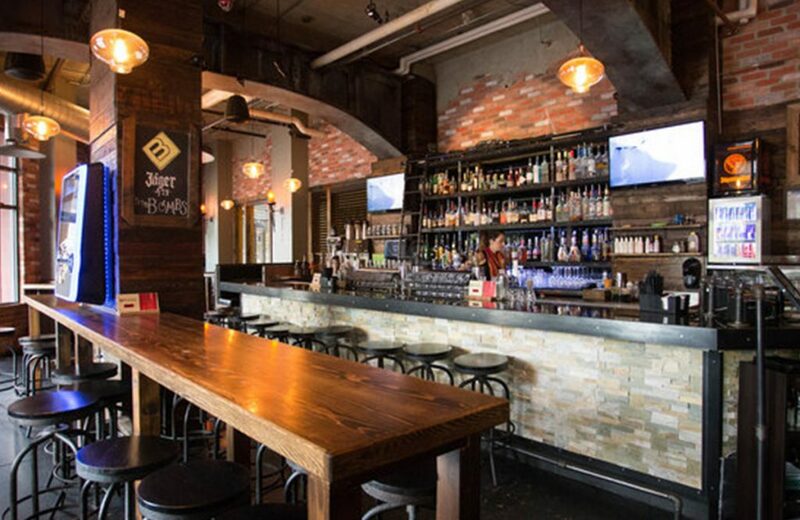 Dubh Linn Gate offers 25 beers on tap alone, with an emphasis on BC craft beers, while also providing patrons with over 20 brands and types of Whiskeys and Single Malt Scotches. If hard liquor or beers aren’t your thing, stop in for the mouth watering Steak and Guinness Pie or any of the other delectable menu items or hand crafted cocktails. 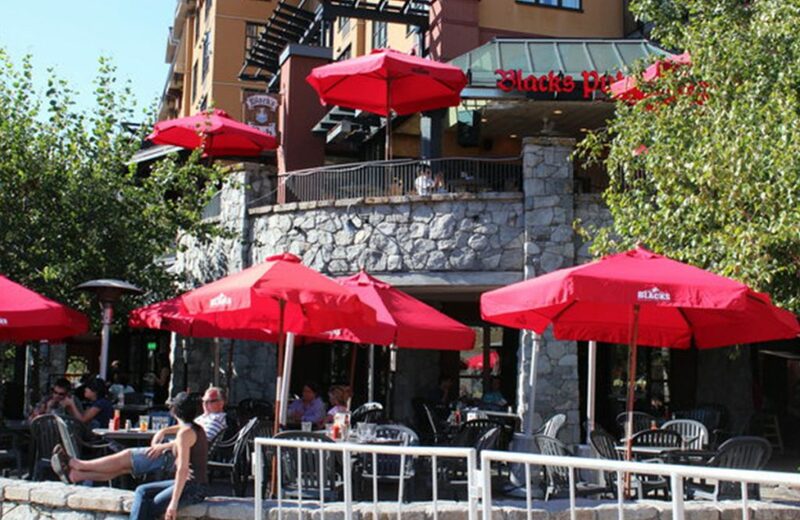 Black’s Pub is a family friendly bar and restaurant that offers two stories of Apres options, with an upstairs patio or full restaurant on the bottom level sure to fill any craving. One of the oldest venues in Whistler, this traditional Apres setting is perfect for any night of the week. If you want to know how to properly partake in Apres-Ski, there is no better authority on the activity than the Swedish, which is why Cinnamon Bear Bar s such a success. A favorite haunt of locals and tourists alike, it is especially well known for their Swedish-themed Apres night, which runs every Tuesday night from 3pm-8pm. This wildly entertaining party has a heated tent for those wanting to dance the feeling back into their cold bones, with live DJs and bands who are more than likely from Sweden themselves. For those not wanting quite as much excitement, this lovely Hilton Hotel-based commodity offers others the chance to unwind inside by their blazing fireplace or out on their scenic patio, all while enjoying appetizers and cocktails in, you guessed it, a somewhat Swedish motif. We do recommend you grab a Cinnamon Bear shot while you're there- it tastes as good as it feels going down and will warm you up from the inside out. Nothing says Apres like a Ski/Board in bar, complete with jaw dropping views and easy access to the slopes. Perched above the Whistler Gondola, this atmospheric bar and grill allows guests to watch as skiers race down the snowy hills. If you happen to visit in the summer, don’t worry about missing out on the fun, as you’ll be awed by the mountain bikers impressive jaunts across the mountain face, all while enjoying a selection of beers, cocktails and delicious food. Live bands add to the ambiance of the mountaintop lodge, making it the perfect place for a reprieve from the exhilarating winter or summer sports that make Whistler Mountain a vacation must for thrill seekers and tourists alike. Any time you hear about chefs traveling all over a particular area of the world to find the perfect recipes for their menu, you know you’re in for something special. Dusty’s Bar & BBQ can attest to that, and that is exactly what their chefs did when researching BBQ recipes for their restaurant. After traveling all around the Southern States of the US to find them, you can bet their food is some of the best around. And while many come for the cuisine, don’t overlook their drink menu- the Ceasars are nothing to be passed on, either. 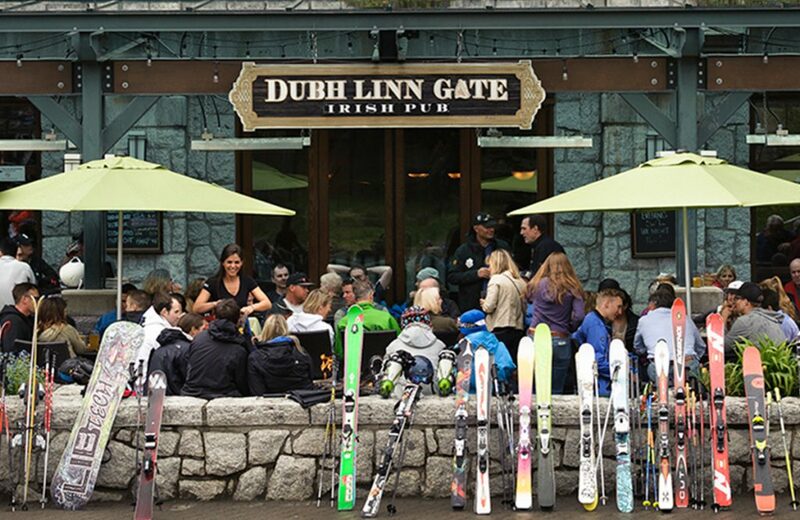 Did we mention Dusty’s was the first Apres-Ski bar in Whistler, having opened it’s doors in 1965 for patrons to come enjoy warm food and cozy vibes after ripping across the snowy terrain of Whistler and Blackcomb Mountains all day? These are all reason enough to visit this staple of Apres tradition, but if you need anymore convincing- they once held the title for best Ceasars, and by our standards, they still do. Cozy and chill vibes are the words to describe this gastropub. They keep their event schedule packed, with cask nights and live bands to entertain diners and Apres-Ski dabblers alike. Perfect for a chill sesh and some delicious comfort food after a refreshing romp in the snow. No matter where you choose to prop up your boots after a long day on or off the mountain, the participation in Apres Ski is a time honored tradition that will leave you feeling revived and ready for another day of whatever activity takes your fancy in the village. We suggest trying a new place every time you’re ready for a little rest, or at least until you find your perfect place to Apres.